Balancing career and motherhood is not easy and often require greater help from people around us. 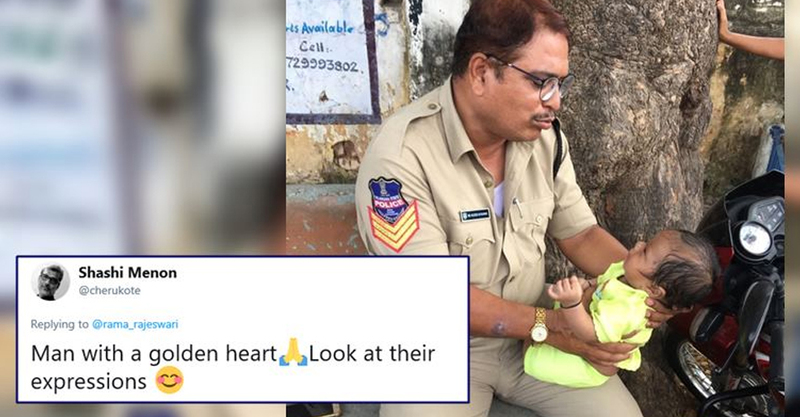 So, recently when a young mother appeared for an exam, a cop stationed at the centre went beyond his call of duty and tried to console a wailing baby. The heart-warming photo has now created a huge buzz online, touching an emotional chord of the Netizens. According to her tweet, the photo was taken at Boys Junior College, Mahbubnagar, an exam venue for the SCTPCs preliminary exam, as part of the Police recruitment. The photo has garnered a lot of attention online and many lauded the cop for taking care of the baby.